*BEST PRICE! * Amazon – wet brush safari leopard (2 pack) just $10.97 + FREE ONE-DAY Shipping for Prime Members! My *FAVORITE* brush is ON SALE – BEST PRICE!! I have this brand for all 5 of my girls and myself! Really helps get those knots out! 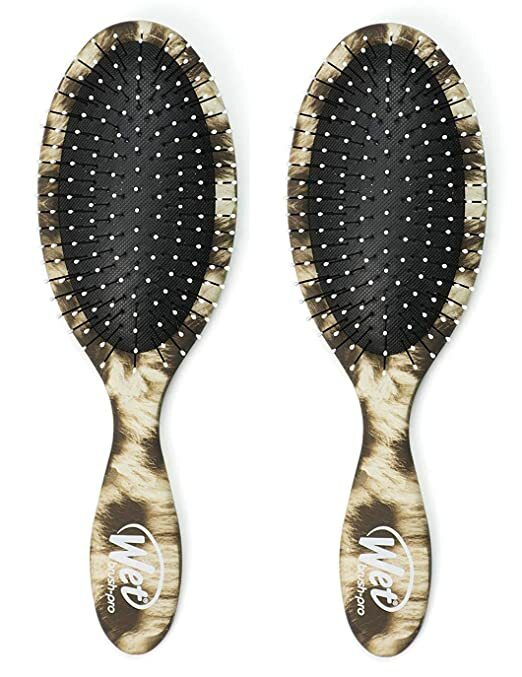 Score the wet brush safari leopard (2 pack) on Amazon for just $10.97 with FREE SAME-DAY shipping for Prime members or free shipping with $35 purchase. 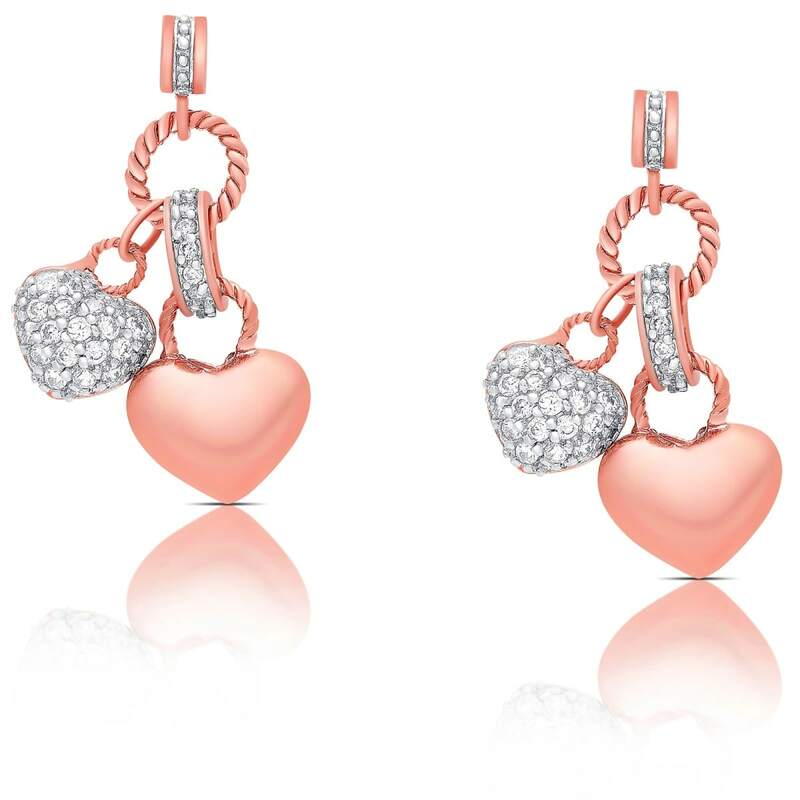 Jane – Personalized Heart Charm Bracelets just $4.98, Shipped! Jane has this cute Personalized Heart Charm Bracelet for $3.99 + $.99 shipping = just $4.98, shipped! Additional quantities ship FREE! 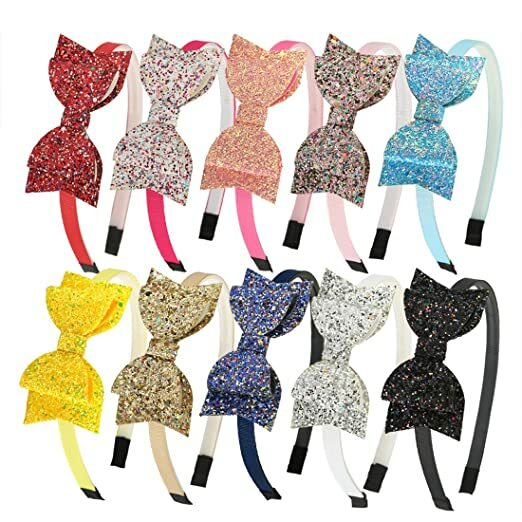 Amazon – Glitter Hair Bows 4 Inch Leather Bows Hair Clips Just $5.31 after Coupon + Code (Reg $13.99)! 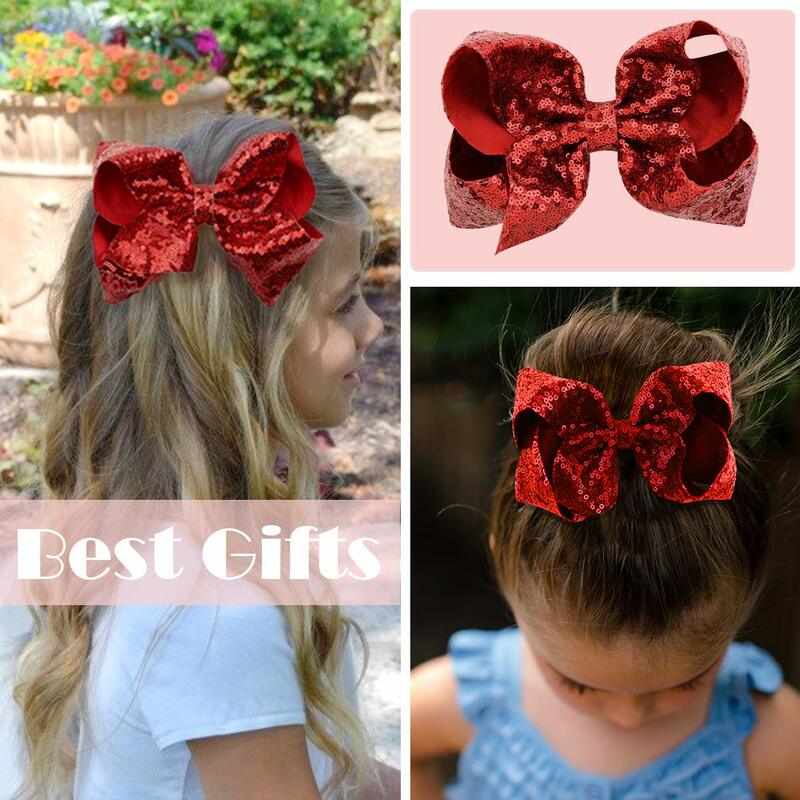 Pick up the Glitter Hair Bows 4 Inch Leather Bows Hair Clips for $13.99. 2 Different Color choices available. 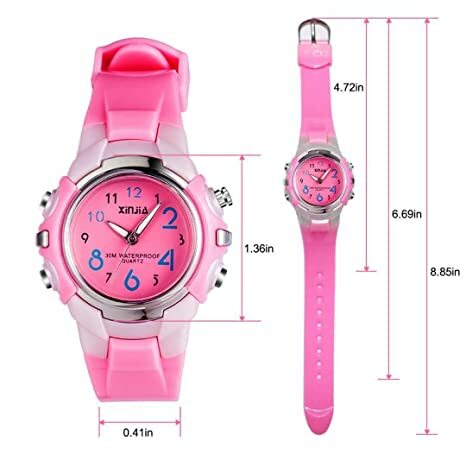 Final Price: Just $5.31 with FREE Prime shipping or free shipping with $35 purchase! Some nice prices on women’s minimizer bras at just $12.99 each in a variety of sizes/colors on Amazon! Lilyette by Bali Women’s Plunge Into Comfort Keyhole Minimizer Bra just $12.99 (Reg $42)! Lilyette by Bali Women’s Beautiful Support Lace Minimizer just $12.99 (Reg $42)! Lilyette Women’s Microfiber Minimizer just $12.99 (Reg $42)! Lilyette Women’s Enchantment Three-Section Unlined Minimizer Underwire Bra just $12.99 (Reg $42)! Bali Designs Women’s Plus Size Passion for Comfort Side Support and Smoothing Minimizer just $12.99 (Reg $42)! 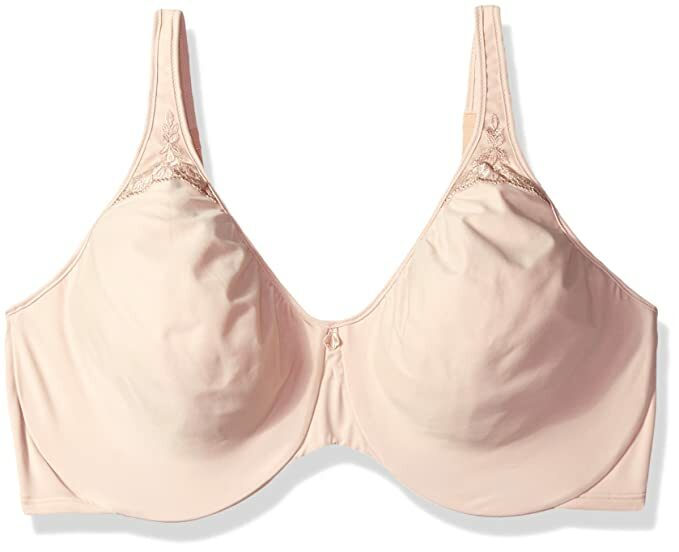 Bali Women’s One Smooth U Minimizer Underwire just $12.99 (Reg $44)! Olga Women’s Butterfly Effect Minimizer Bra just $12.99 (Reg $38)! 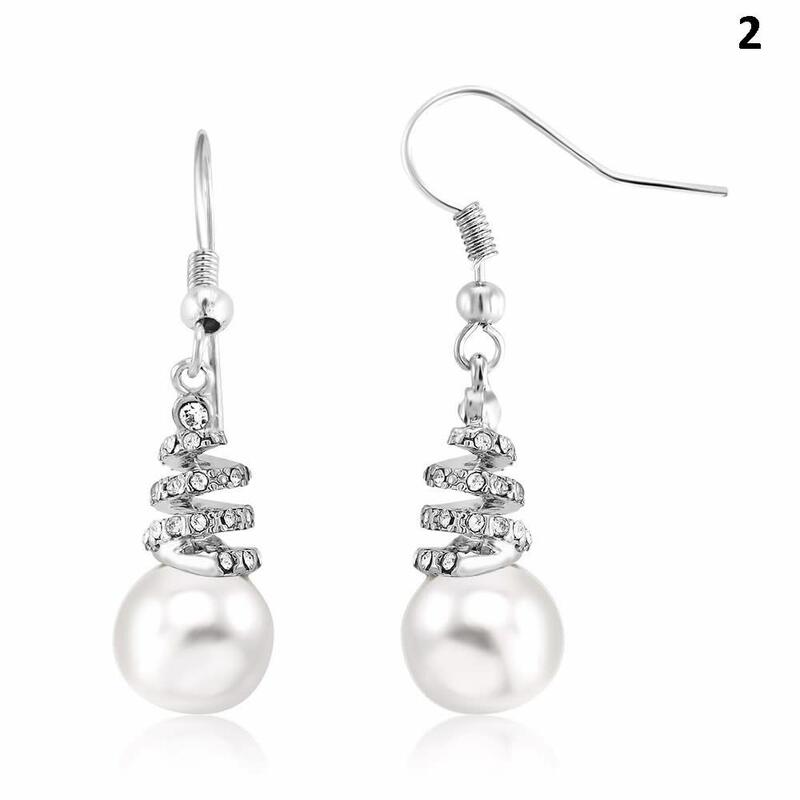 Jewelry.com – Polished Sterling Silver Hoop Earrings with Swarovski Crystal Beads just $23.80 + FREE Shipping! 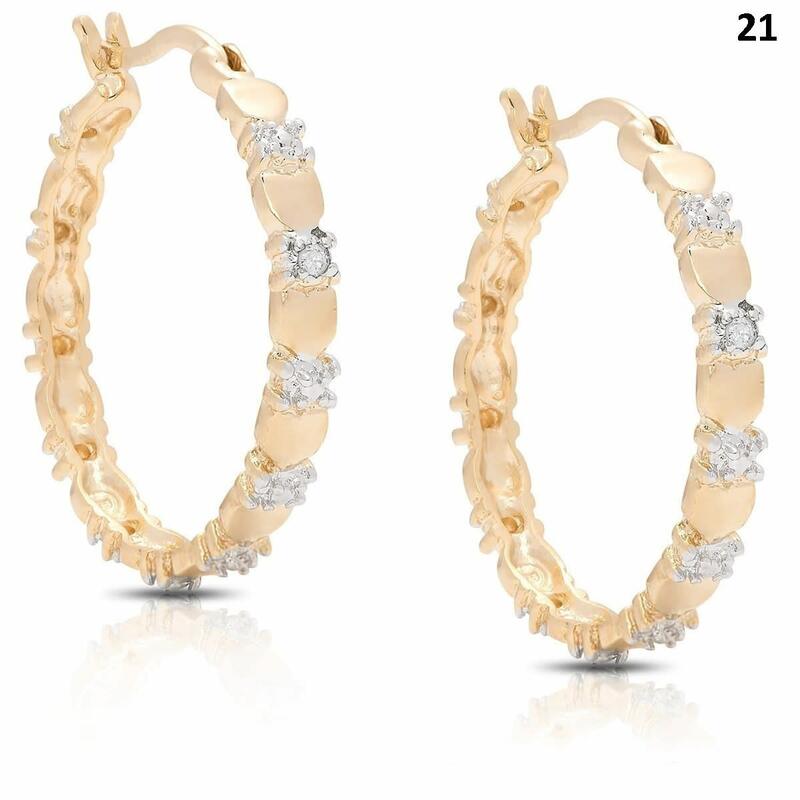 Jewelry.com has these pretty Polished Hoop Earrings with Swarovski Crystal Beads on sale for 30% off = just $23.80 with FREE shipping! 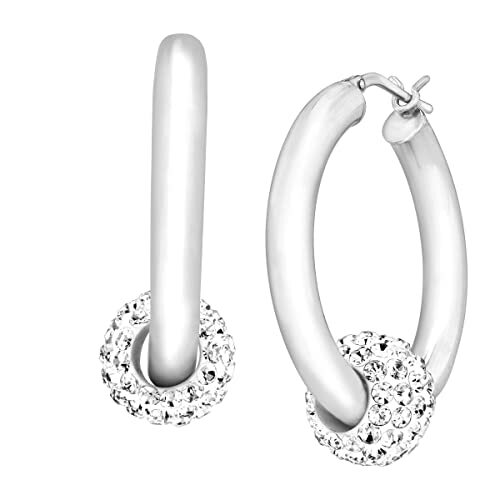 Classic hoops go bold with the addition of sparkling Swarovski crystal beads. 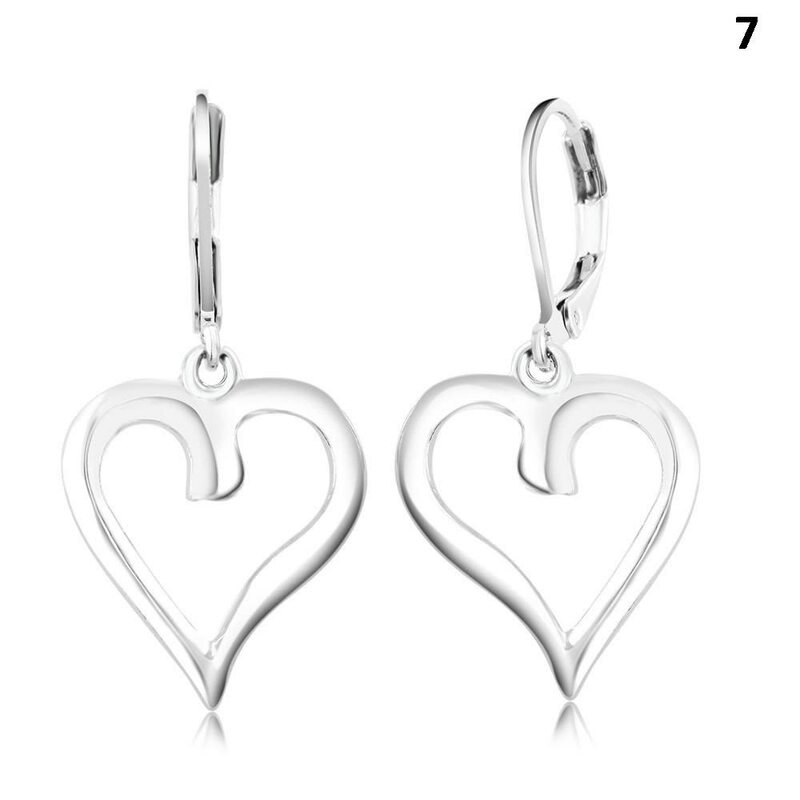 Polished 4 mm hoop earrings are crafted in sterling silver and finished with Swarovski crystal beads. Pieces measure 1 3/8 by 1 1/8 inches and feature post with snap-down back-findings. 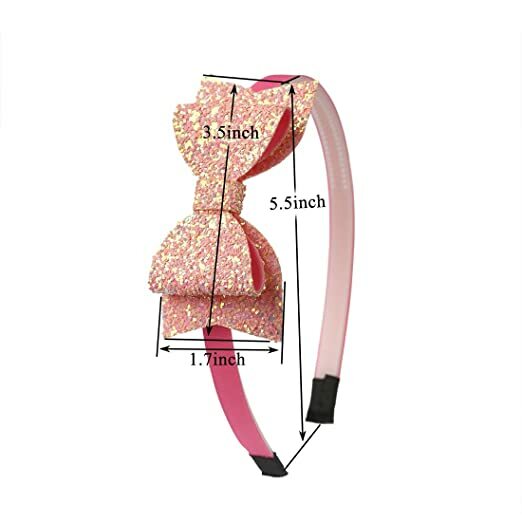 Amazon – 6″ Large Sequin Hair Bows 20pc Set just $18.58, Sequin Bow Hairbands 10pc Set just $12.99! 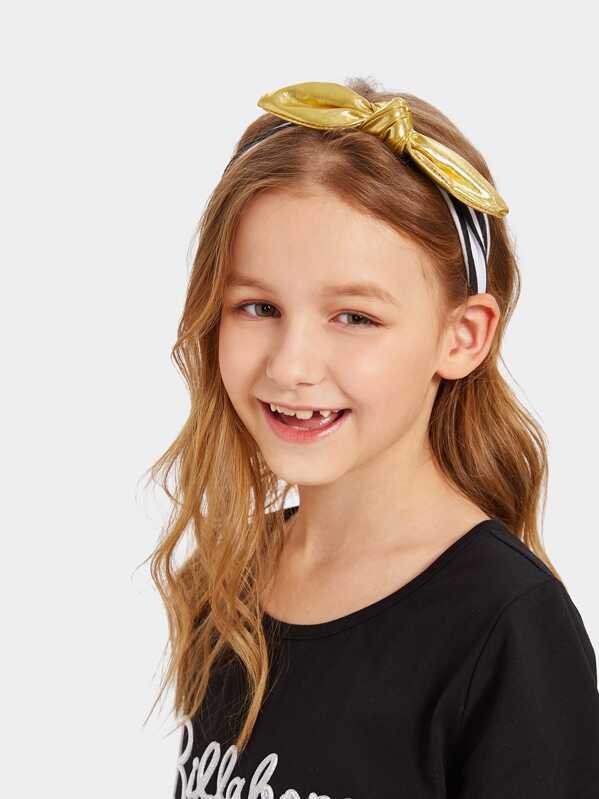 2 pretty hair accessory options for girls on Amazon! Love all the bling! FREE Prime shipping or free shipping with $35 purchase. 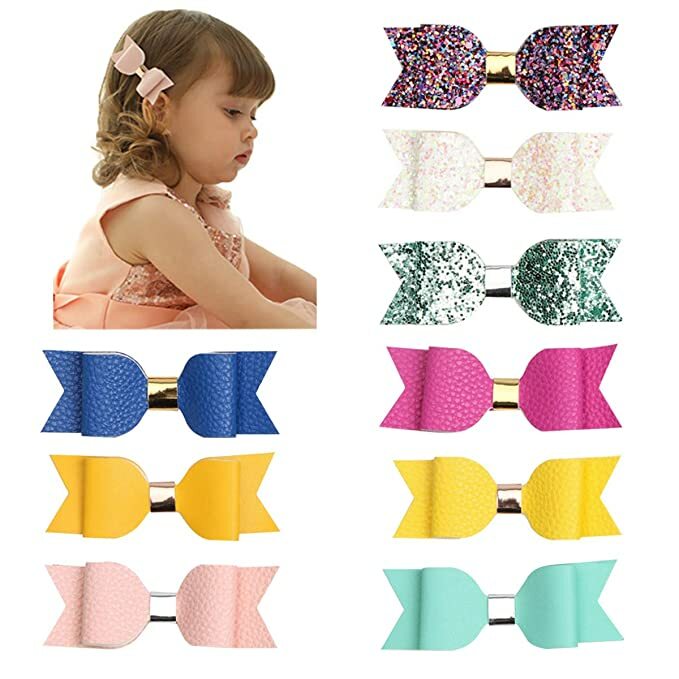 XIMA 10pcs Glitter Sequin Bow Hairband Shiny Bow Knot Teeth Plastic Hairband for Kids Hair Accessories just $12.99! Stock up for yom tov! The Children’s Place is offering Girls Lace Ruffle Socks for just $1.58 + FREE Shipping! You can also pick up the Toddler Girls Ruffle Roll Cuff Socks 2-Pack for just $3.18 + FREE Shipping! *HOT! 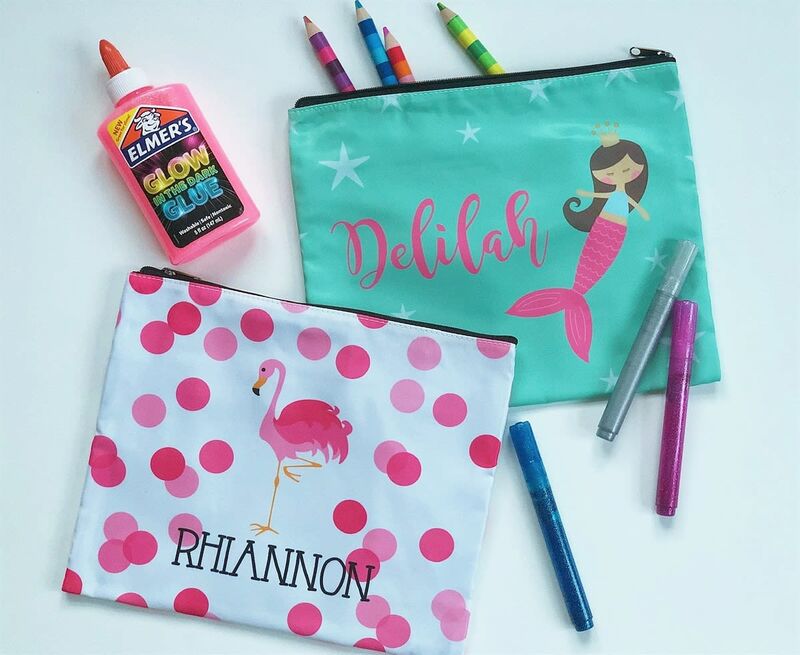 * Jane – Personalized Kid’s XL Pencil Bags just $13.94, Shipped! 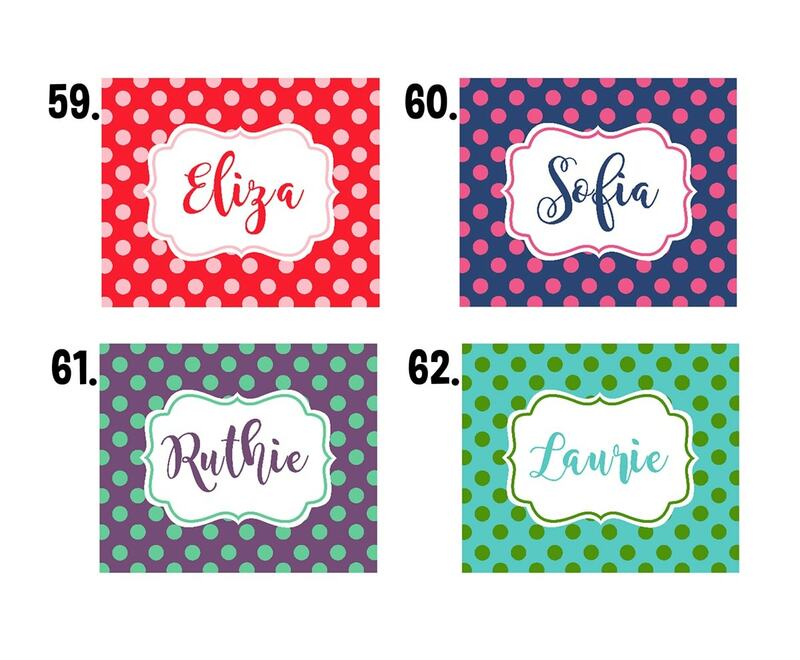 60+ Designs to Choose From! 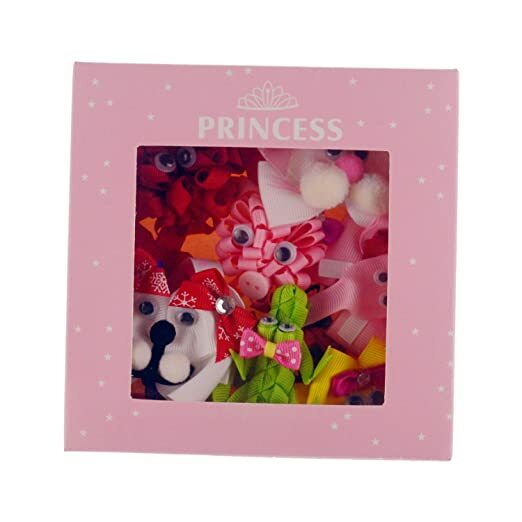 Great little gift idea! Perfect for school supplies, as a makeup bag, toiletry bag, etc! 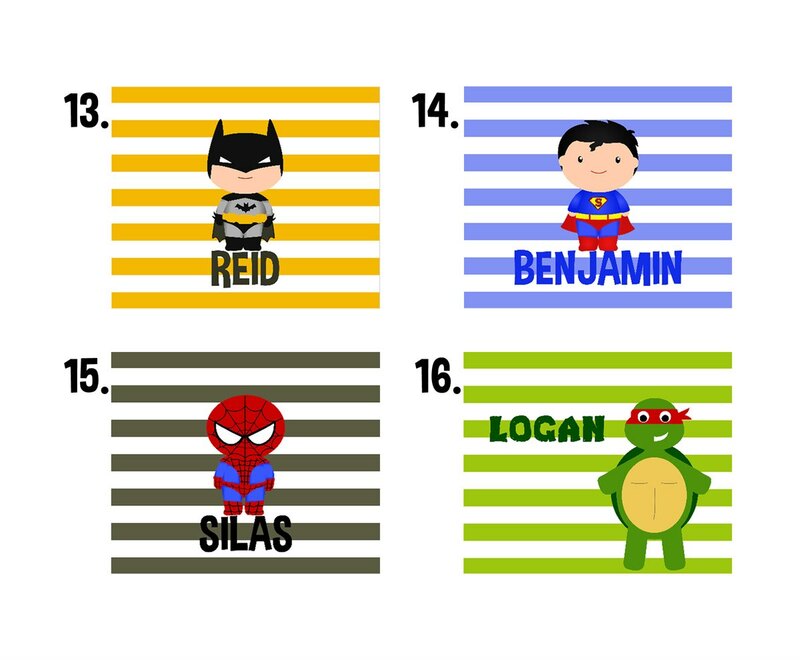 Snag this Personalized Kid’s XL Pencil Bag for $9.99 + $3.95 shipping = just $13.94, shipped! 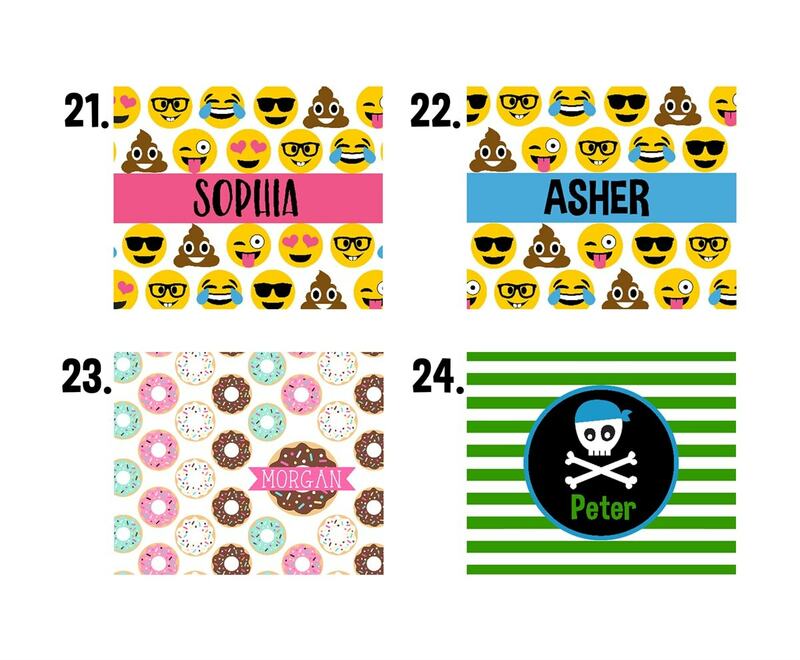 Choose from TONS of designs!! *GREAT PRICE! 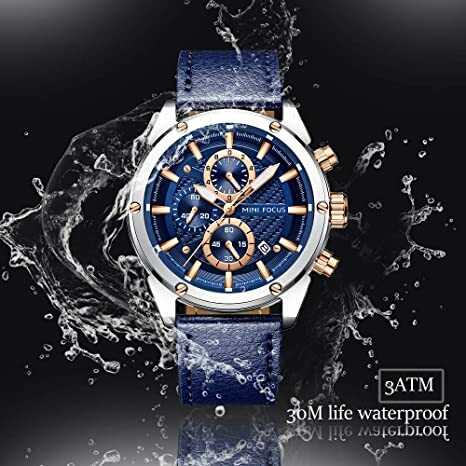 * Amazon – Men Watches Business, MF MINI FOCUS Quartz Waterproof (30M, Blue, Casual) Wristwatch, Sport Design Leather Band just $10 after Code + Coupon (Reg $29.99)! FINAL TOTAL: Just $10 with FREE Prime shipping or free shipping with $35 purchase, plus FREE returns! GREAT Reviews!! 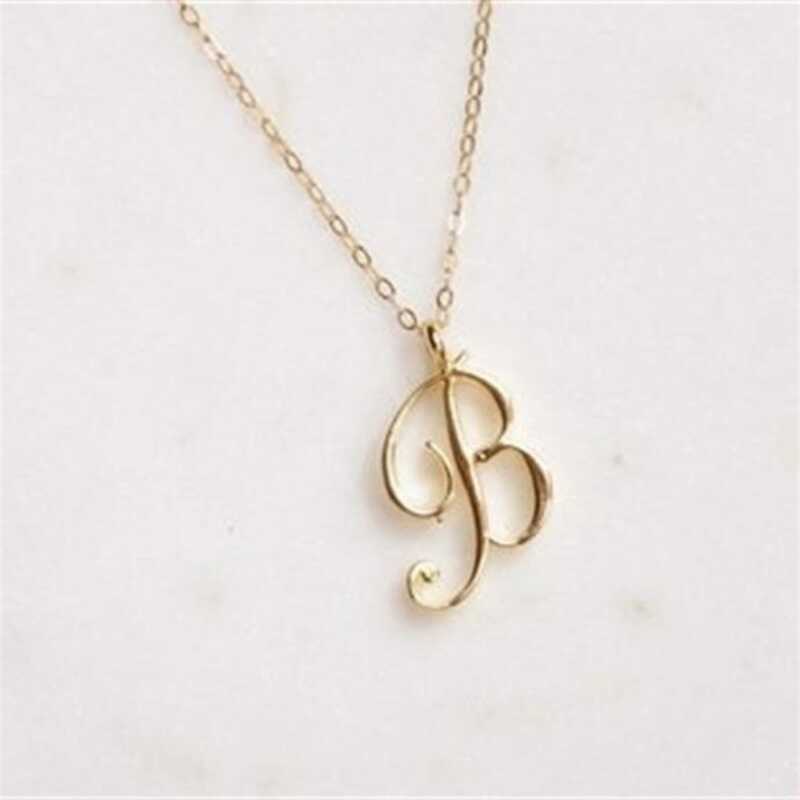 Jane – Perfect Initial Necklace in Gold or Silver just $9.98, Shipped! Nice Gift! 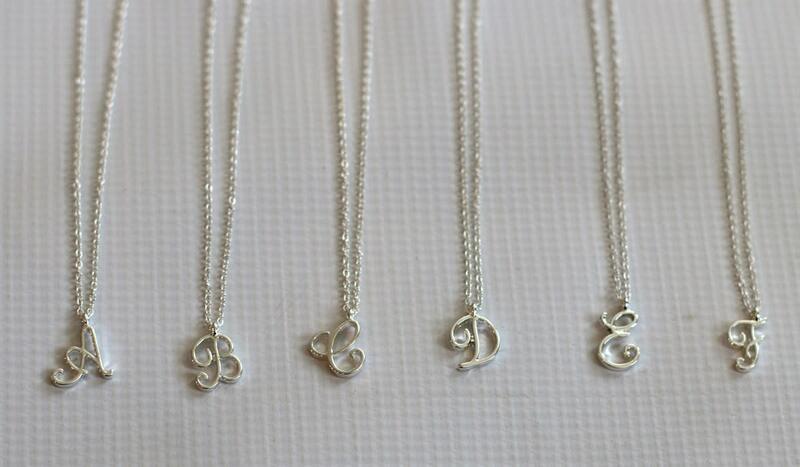 Jane has this Perfect Initial Necklace for $6.99 + $2.99 shipping = just $9.98, shipped! Nice gift idea! 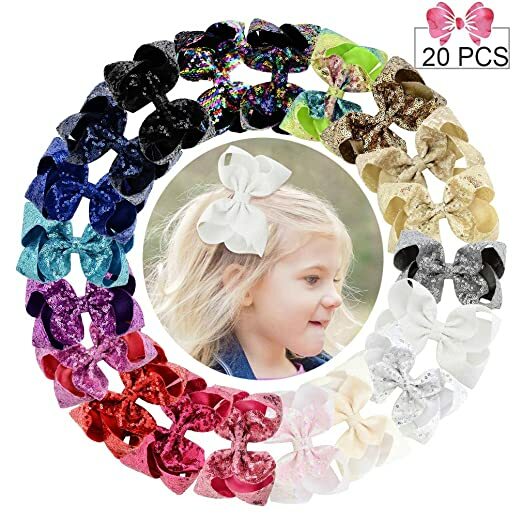 Amazon has this pack of 10 adorable hair bows for just $5.99 (reg $15.99)!! 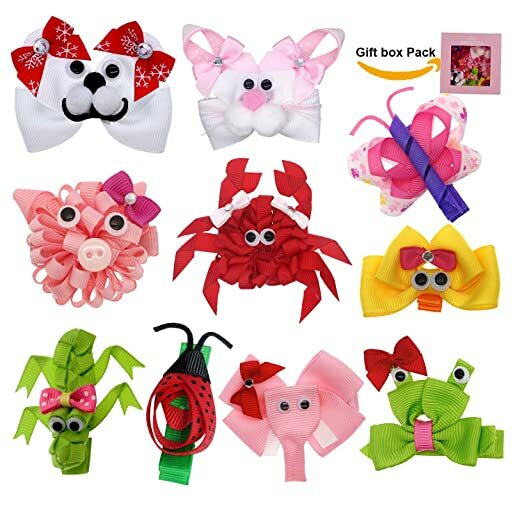 10pcs 2″-2.5″ assorted animal sculpture ribbon hair bows: Colorful Butterfly, Green Alligator, Green Frog, White Polar Bear, Yellow Duck, White Bunny, Red Crab,Red Ladybug, Pink Elephant, Pink Pig. *HOT! 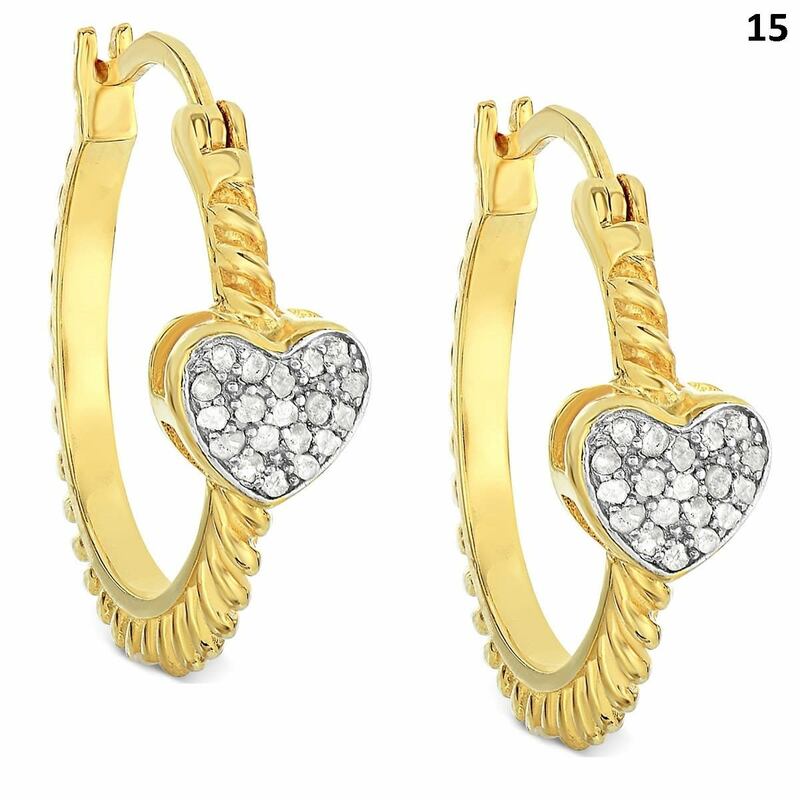 * Jane – 20+ Styles of 18kt Gold Plated Earrings for just $3.99/pair + FREE Shipping! 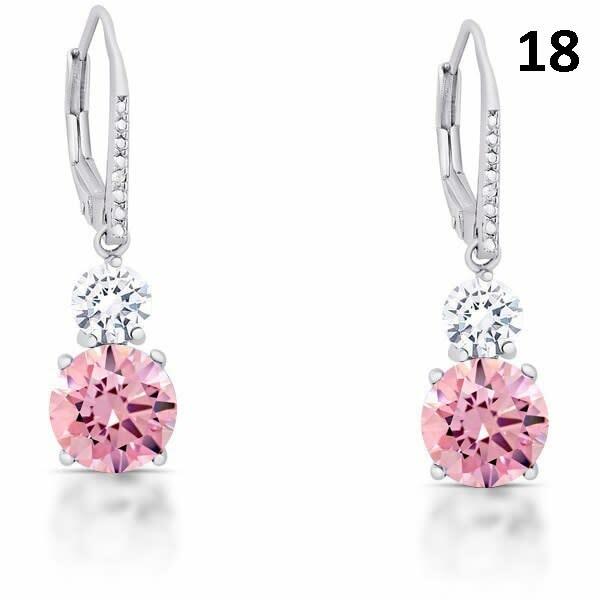 Jane is offering a variety of cute earrings for just $3.99 + FREE Shipping! Over 20 styles to choose from!! 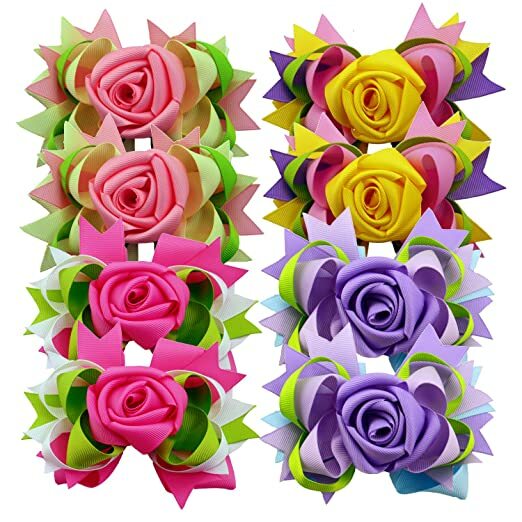 Amazon is offering these Rose Flower Hair Bows 5 inch Big Ribbon Boutique Bows, 8pk for $14.19 – $7.10 with promo code 50K6M7GR = just $7.09 with FREE Prime shipping or free shipping with $35 purchase. 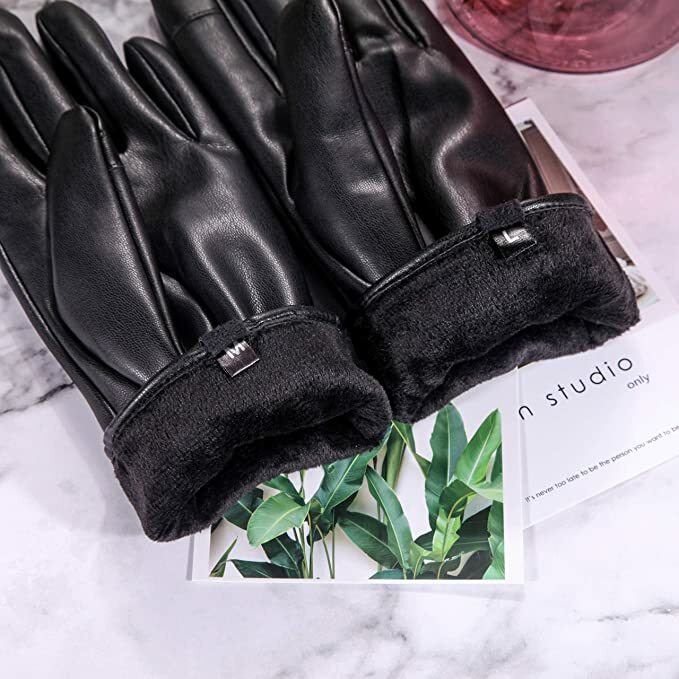 So pretty – and at just $2/pair! 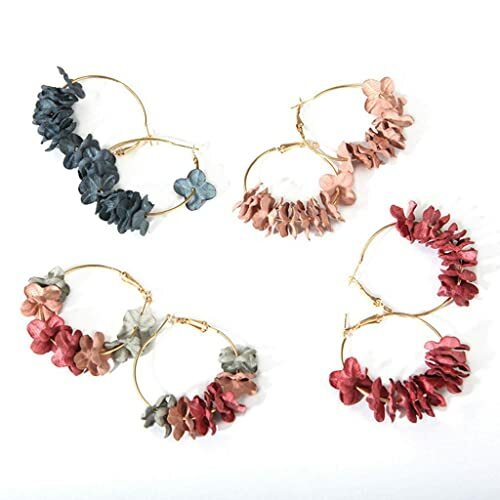 Amazon has 4 pairs of Multi Color Flower with Yellow Gold Plated Dangle Drop Statement Earrings for just $7.99 with FREE Prime shipping or free shipping with $35 purchase plus FREE returns! My *favorite* brush for all 5 of my girls (and myself!). Really gets all the knots out! 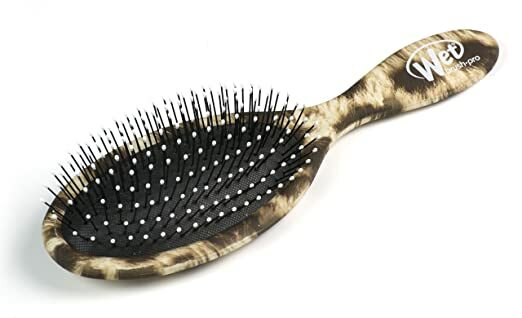 Amazon has the Wet Brush Hair Brush, Safari-Leopard for just $5.64! 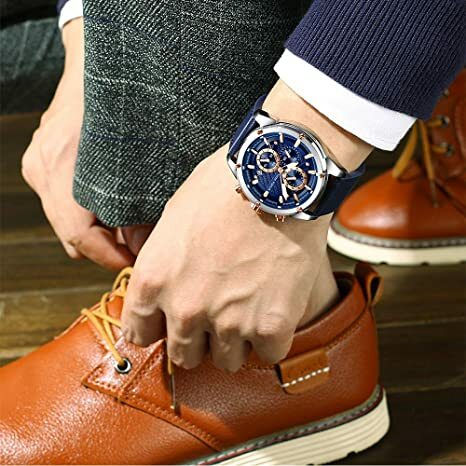 This is an ADD-ON item and will ship for FREE with your Prime account and $25 purchase or free with $35 purchase if you don’t have Prime. This item DOES count toward your $25/$35 total! *HOT! 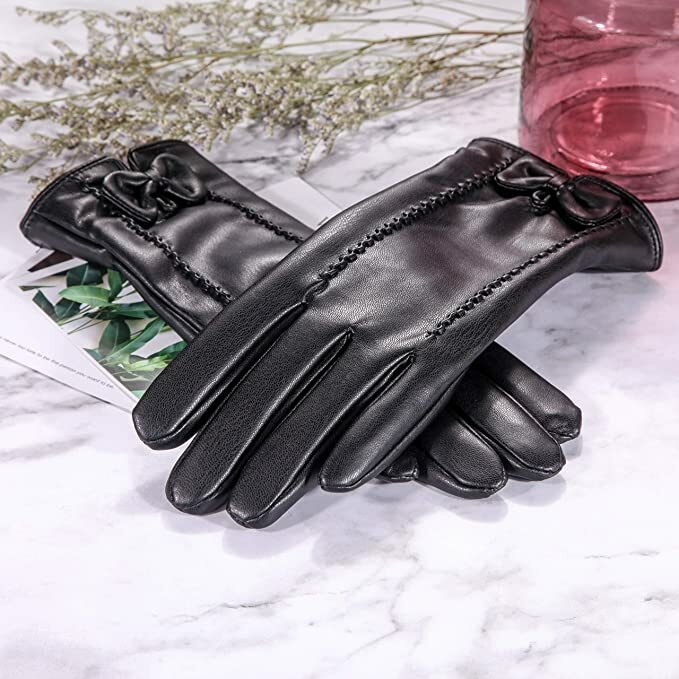 * Amazon – Leather Gloves Women, MEZETIHE Women PU Leather Texting Driving Touchscreen Winter Warm Fleece Liner Gloves (L) just $3.71 after Code + Coupon (Reg $15.69)! *HOT! 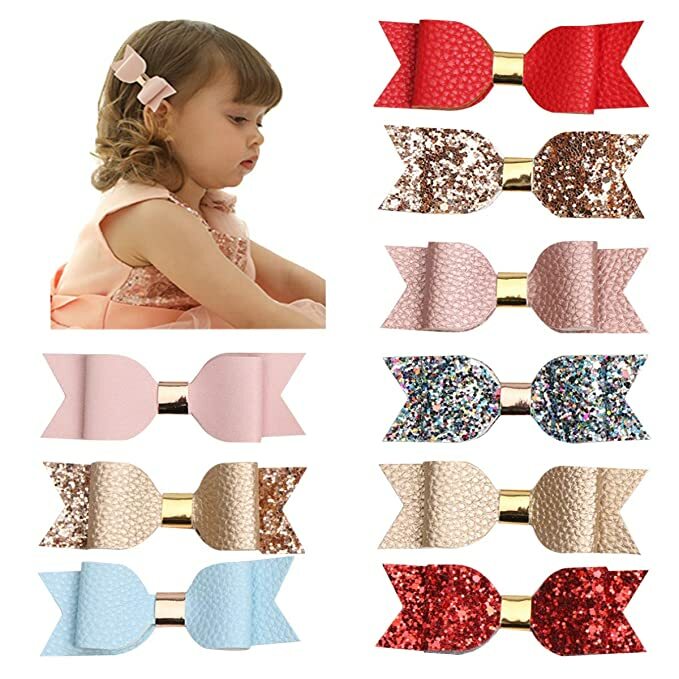 * Amazon – Velvet Hair Scrunchies for Women- 5 pack Velvet Scrunchie for Ponytails, Braids and Buns (Matte Velvet Blush) just $1 after Code (Reg $10)! 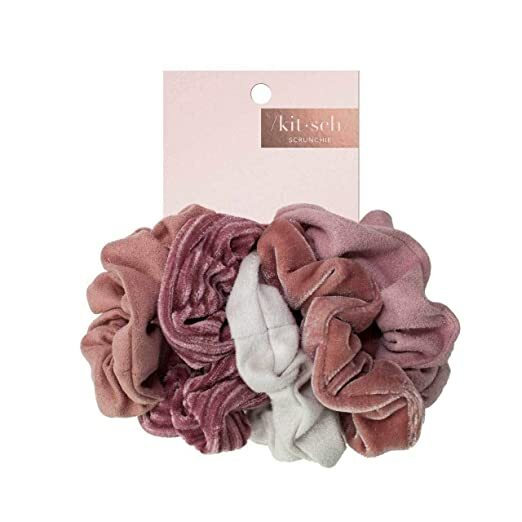 Hurry to Amazon to snag this Velvet Hair Scrunchies for Women- 5 pack Velvet Scrunchie for Ponytails, Braids and Buns (Matte Velvet Blush) for $10.00 – $9 with code SUVICFSU = just $1 with FREE Prime shipping or free shipping with $35 purchase on Amazon! This color only! 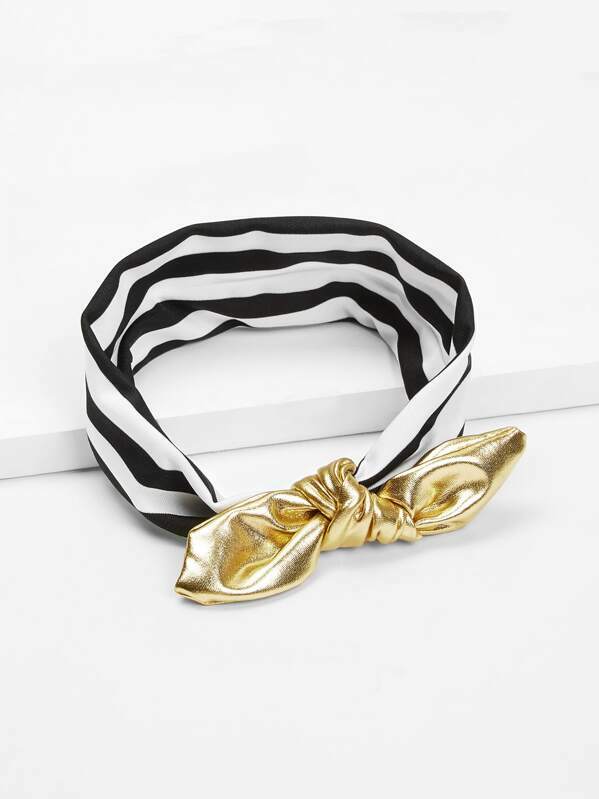 You can order multiple scrunchies at the discounted price in the SAME transaction!